CT and molybdenum target mammography can be used to check for breast cancer. In general, molybdenum target X ray is a routine examination method and CT scan is an important auxiliary method for breast cancer imaging diagnosis. To combine these two examination methods can provide comprehensive breast lesion morphology feature. 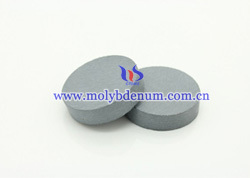 The working principle of the molybdenum target: generally will film both bilateral breast anteroposterior and lateral film and internal external oblique films. Special circumstances will need to add local point film. During the projection process, the machine will bring the appropriate pressure on the breast and molybdenum target machine will issue the soft X-ray irradiation through the breast to images. As the different components of breast tissue structure has different density, so it will form different imaging performance on X film and the doctor can diagnose with these photos. CT can isotropic imaging and has high temporal resolution, density resolution and strong postprocessing, so it can use multiplanar reconstruction (MPR), shaded surface display (SSD), volume rendering (VR) and maximum intensity projection (MIP) to show the location and range of nidus by three-dimensional photos, which are more accurate, intuitive and comprehensive than 2D images.